This week I was kicking around the idea of romantic desserts. Valentine’s day is coming up, and so is my wedding anniversary. I wanted something sweet and cute but still classy and special. Immediately I thought of chocolate covered strawberries. They are so decadent and romantic in color, sweetness and overall fanciness. The strawberries were a great start, but not quite unique enough. I mean, that’s been done. A lot. I wanted something a little more out of the ordinary, but still super easy. I preface with: this is ridiculously easy. I almost feel like I’m cheating you by counting this as a recipe. But, I hope you love it!! Line your muffin tin and prep your cake batter. Fill the cups 1/2 full. 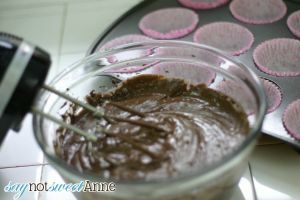 Place an unwrapped Hershey’s kiss in the middle of the batter. Continue to fill the cups, it may or may not cover the kisses. 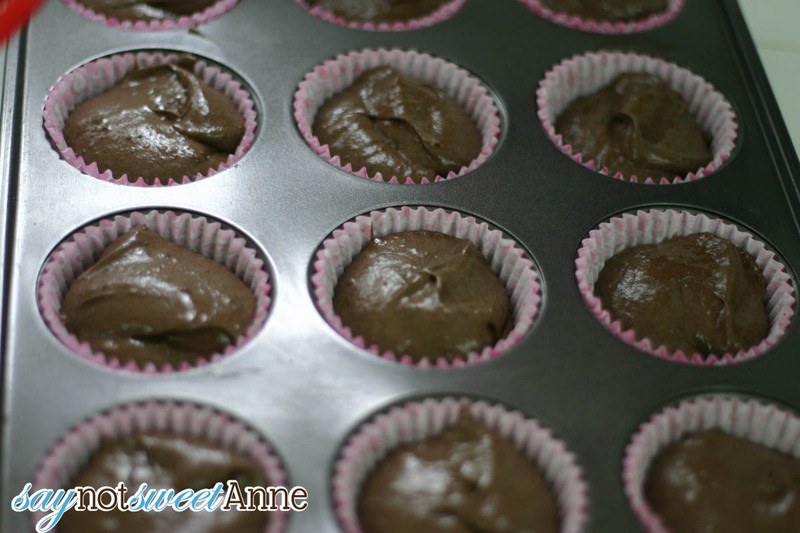 Bake as indicated on the cake mix. 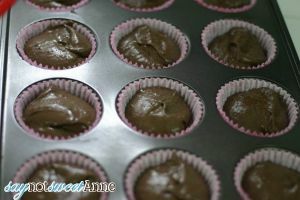 Once the cupcakes cool, fill a piping bag with room temperature frosting, and prep it with the cake tip. Pipe the frosting in a swirl, moving from the outside to the inside. That’s it! The strawberry frosting is the perfect accent to the decadent chocolate cake and filling. 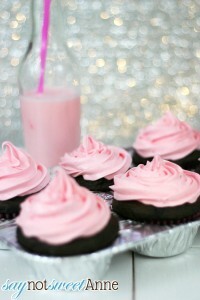 The kisses also added a moistness to the cupcakes that I just adore. I just can’t wait to surprise Hubby with these. 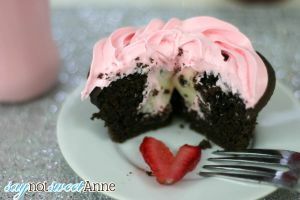 They will be the perfect Valentine/Anniversary dessert! Ohh these are soooooooooooo beautiful, and yes – romantic! I can hardly wait to try these. They sound so yummy. I am going to serve them to my Bunco group as well as my family! 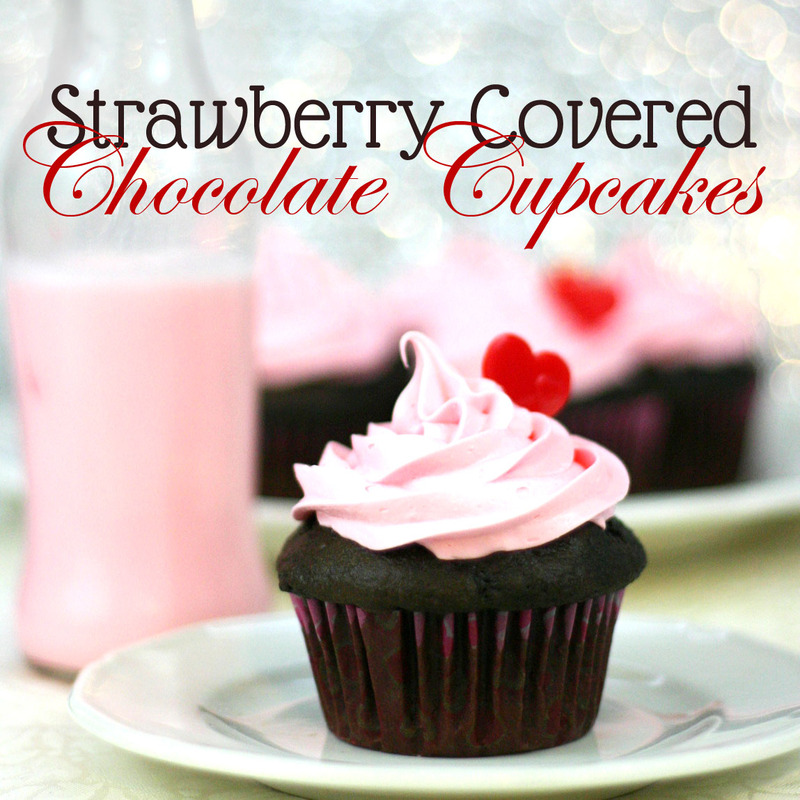 These look so yummy & will be perfect for my Valentine Bunco! Thanks for being so giving!! !